I was a little late to the game on the Instant Pot front. I have been a loyal Crock-Pot user for years, but the Instant Pot seemed more like an expensive toy that I didn’t really need. So when Nikki proposed this challenge, I thought it would be a great idea to test one out and see what all the hype was about. 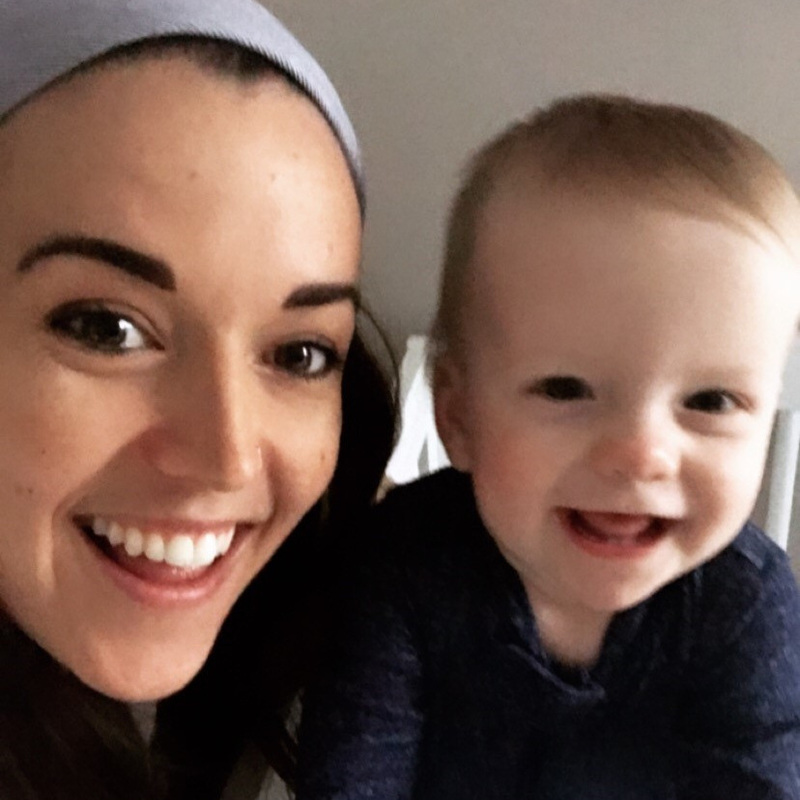 I know I talk about this often, but after having my daughter, time is no longer my own, and there is never enough of it. So I am all for any gadget that can save me some extra minutes cooking and allow me to spend more time with my girl. One thing many of you may not know is that I am a pastry chef by trait. I have always loved to cook, and decided halfway through my undergrad that food was my calling—which is when I enrolled in Culinary School. I’ve been working in restaurants and bakeries since I was 14, but I can honestly say that I have never seen a cake made in an Instant Pot. 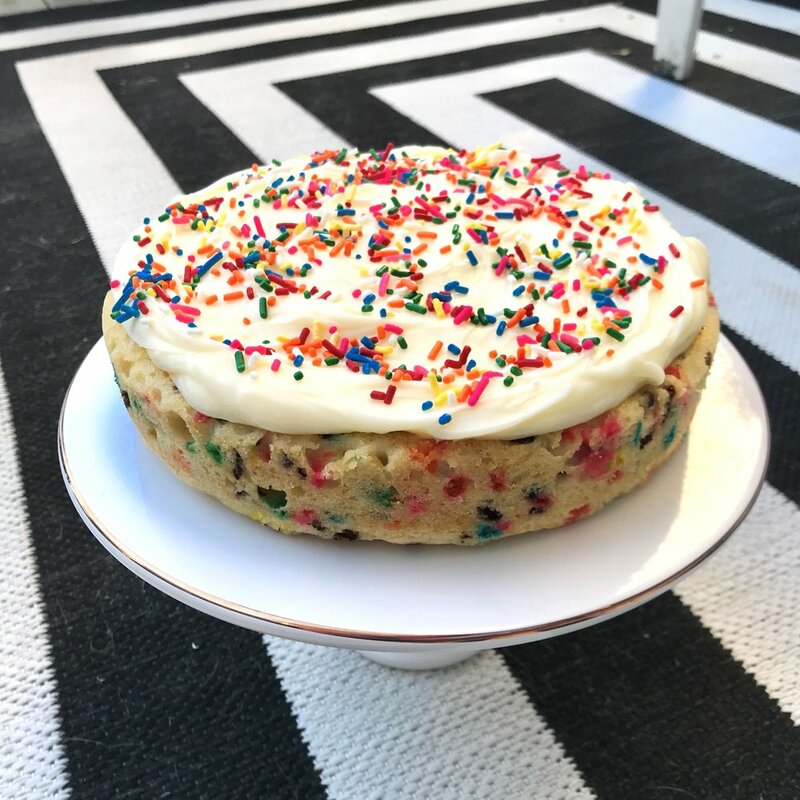 I am always a sucker for experimenting, so I decided to go sweet on this challenge, and give cake a try! 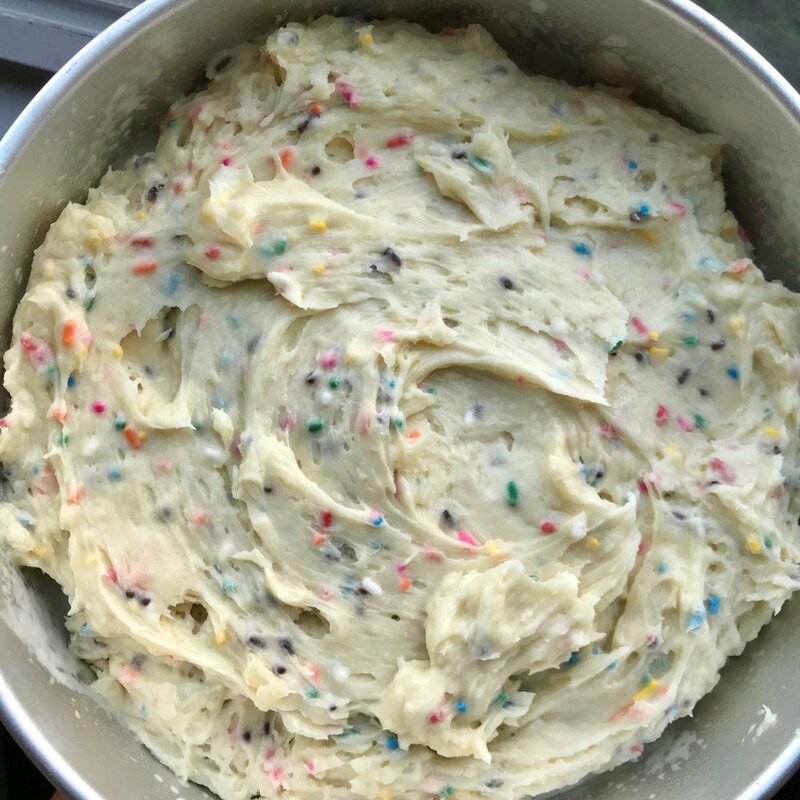 I searched around online, as one always does when looking for answers, and landed on a Funfetti Instant Pot cake recipe from Food Network. The recipe was super easy to put together, but when it came time to “bake” the cake, I ran into a few issues. But (A) the twine slid all around and did not raise it out evenly, and (B) the Instant Pot lid didn’t seal completely with the string hanging out. I finally decided to lower it down with my fingers, and when it was done baking, waited for the cake pan to cool completely before removing it the same way. It took 35 minutes on the “cake” setting for the cake to cook. I wasn’t a big fan of the texture when the cake came out. It was a little more dense than what I prefer, mostly because it is more of a steamed cake. I appreciate the novelty of cooking a cake in a Crock-Pot style container, but as far as functionality and form, I would just stick to the oven. It takes about the same amount of time to bake an 8-inch cake in the oven, and the texture is much more appealing. This project took me two naps worth of time—one to read the directions and figure out the Instant Pot, the other to actually bake the cake. The timing couldn’t have been better because I was able to take the cake to my beautiful sister-in-law’s baby sprinkle! Sprinkles for a sprinkle! If you have an Instant Pot cake recipe you love, leave me a message in the comments below; I would love to experiment some more!